27 Things You'd Forgotten About Series One Of "Pop Idol"
The predecessor of X Factor, Pop Idol only ran for two series, but let's be real - the first was the best . 1. Pop Idol launched in 2001. The judges were: Simon Cowell, Dr Fox, Nicki Chapman and Pete Waterman. Ant and Dec hosted the show. 2. Pop Idol Extra, presented by Kate Thornton, aired after each show. 3. The opening credits were composed by Cathy Dennis, who also composed 'Can't Get You Out Of My Head'. 4. The show was sponsored by Vodafone's proto-email system 'Vizzavi'. The service closed down on 31st March 2003. 5. Simon Cowell explained for the first time the formula which would earn him a fortune. 6. 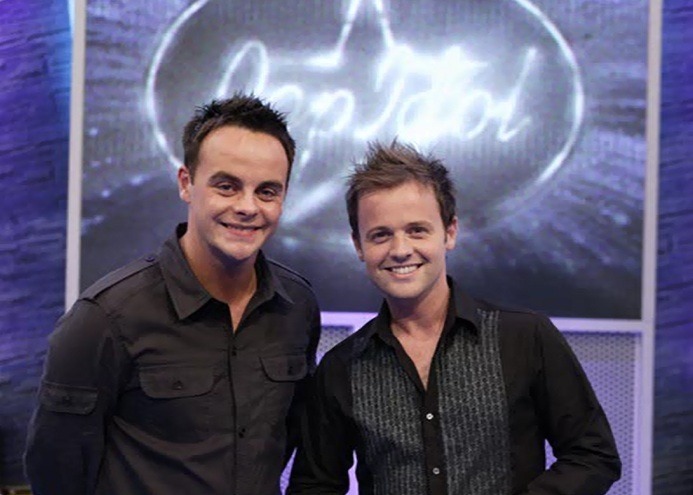 Ant and Dec presciently defined what a 'Pop Idol' was. 7. The judges' candid put-downs pulled no punches. 8. And Pete Waterman was under no illusions as to the reaction to the show. 9. Nicki Chapman had lofty ambitions. 10. Meanwhile, Dr Fox's ambitions were less lofty. He was aiming for Party in the Park. 11. Ant and Dec's popstar advice wasn't very helpful. 12. And Ronan Keating's advice was probably too accurate. 13. Auditions were held in conference centres, not arenas. 14. Gareth Gates made his big debut. 15. As did Will Young's dance moves. Note Simon greeting him with 'you're a good looking boy'. 16. Rosie Ribbons sang an original compostion. And received zero compliments on her outfit. 17. And after a disastrous audition for Popstars, Darius finally made it on Pop Idol. 18. Will Young beat Gareth Gates in the final, with 4.6 million votes to Gates' 4.1. 20. Sidebar: Look at Ant's shoes! 21. Let's not forget the shonky camera angles. 22. The Pop Idol Arena Tour saw finalists awkwardly on the road together. 23. The show was so popular that Britney did a skit of it. It closes with Britney on the sofa in the Big Brother house. 24. There was also a PS2 game. 25. There was even an 'interactive' Pop Idol attraction at Madame Tussaud's in 2003. 26. The finalists - where are they now? Gareth Gates (left) toured the musical Boogie Nights at the start of 2013, with members of The Osmonds, Shane Ritchie and Chico. Interestingly, Gates has investments in the company Ingenious Media, which backed Avatar and X-Men Origins: Wolverine. Zoe Birkett (second left) has appeared in Rent, Thriller Live and Priscilla, Queen of the Desert . She can be found on Twitter, here . Darius (centre) has landed a role in the upcoming US television series Beauty and the Beast , where he will play a mercenary bodyguard. Hayley Evetts (second right). In 2012, Evetts successfully auditioned at the Manchester stages of The X Factor and made it through to bootcamp, but failed to move on to judges' houses. 27. Will has never forgotten his roots.